Town officials met Friday night to discuss whether to renovate or rebuild the elementary school where 20 first-graders and six educators were shot to death in December or build a new school nearby. A consultant for the town said a task force of 28 local elected officials likely wouldn't make a decision at the meeting and would return for another meeting next week. The task force has narrowed the options for Sandy Hook Elementary School down to: renovating or rebuilding on the existing school site or constructing a new school on property down the street. Any school plan would go to the school board, then to a townwide referendum. Whatever choice is made, a new or renovated school won't be ready by the start of the next school year. 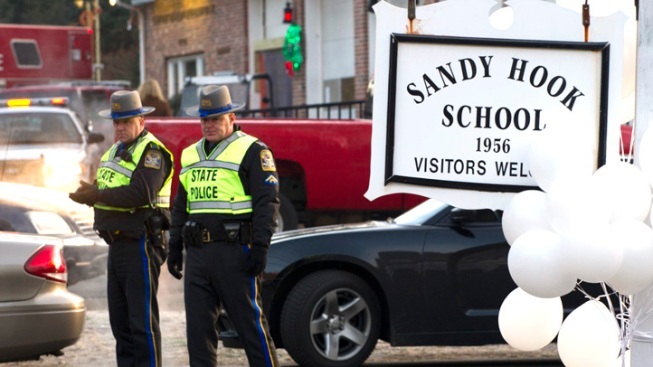 Sandy Hook Elementary School hasn't housed students since the Dec. 14 killings. The 430 surviving students have been attending a renovated school that has been renamed Sandy Hook Elementary School in neighboring Monroe. One panel member, Laura Roche, said there was no way she would support reopening the school. "To me, that is always going to be a site where 26 people were murdered," she said. "I wouldn't want to have to send my kids back to that school," said Susan Gibney, who has three children in high school who didn't attend the Sandy Hook school and believes the school should be torn down. "I just don't see how the kids could get over what happened there." Retired police officer Fran Bresson, who attended Sandy Hook Elementary School in the 1950s, wanted the school to reopen but said he thought the hallways and classrooms where staff and students were killed should be demolished. Residents of towns where other mass shootings occurred have grappled with the same dilemma. Some have renovated, some have demolished. Columbine High School in Colorado, where two student gunmen killed 12 schoolmates and a teacher in 1999, reopened several months afterward. Crews removed the library, where most of the victims died, and replaced it with an atrium. Virginia Tech converted a classroom building where a student gunman killed 32 people in 2007 into a peace studies and violence prevention center. And an Amish community in Pennsylvania tore down the West Nickel Mines Amish School and built a new school a few hundred yards away after a gunman killed five girls there in 2006. On the morning of Dec. 14, gunman Adam Lanza, who had killed his mother at their Newtown home, went to Sandy Hook Elementary School and opened fire with an assault rifle, killing the 20 children and the six adults. He killed himself as police arrived at the school. The school shooting, one of the deadliest in U.S. history, has spurred national debate about gun control and Second Amendment rights. Police have not disclosed possible motives for the Newtown killings. Law enforcement officials have said Lanza showed an interest in other mass killings and played violent video games.